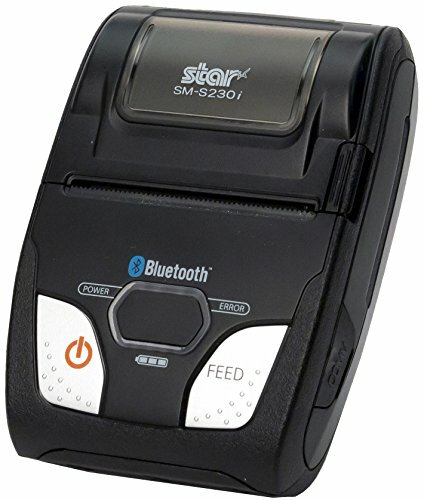 Star Micronics SM-S230i is a compact, lightweight, two inch portable Bluetooth and USB printer. Compatible with most operating systems (Windows, Android, iOS) including devices such as the Apple iPad, iPhone, and iPod touch with Apple MFi certification. 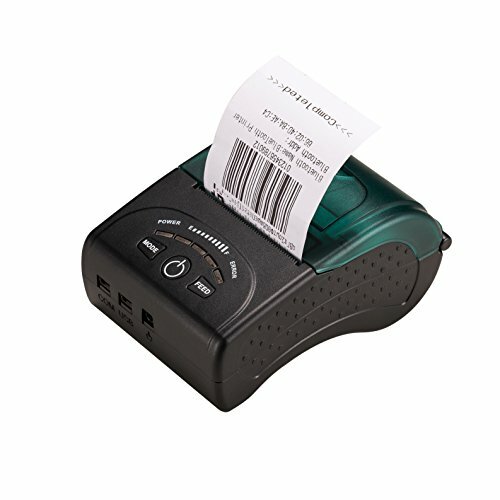 The SM-S230i is the smallest printer in the Star Micronics portable printer series. The SM-S230i requires no set up with its auto detection Bluetooth feature between using different mobile devices with various operating systems. A clerk can simply use an Android or iOS device without adjusting the original settings. With an additional convenient connection option for USB 2.0, the SM-S230i can send fast transfer speeds of data and provide security with an easy plug-in USB cable. 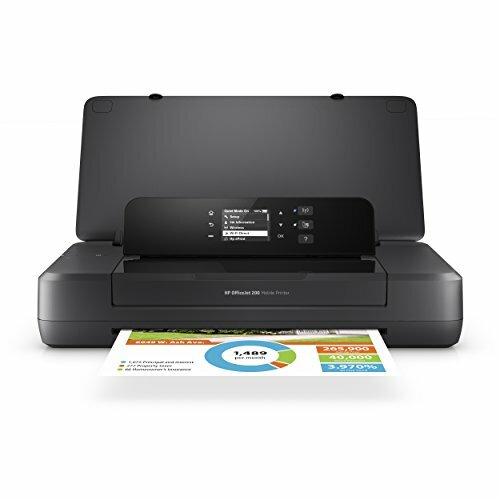 The SM-S230i has a printer cover that opens with the touch-of-a-button for easy "Drop-In and Print" paper loading. 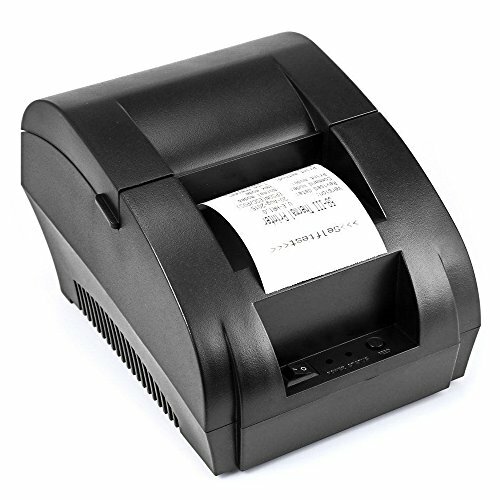 With exceptional battery life of 13 hours and a fast print speed of 80mm/second, this affordable, lightweight printer is ideal for long working environments in retail and hospitality settings. Printing made simple: No need to wait. Start printing right out of the box with easy setup. Designed to fit your life: Save your space with a compact printer designed to fit on your desk, on a shelf, or anywhere you need it. Affordable at-home printing: Print more for less, using the world’s No. 1 printer brand plus Original HP ink cartridges. Full of value—print up to twice as many pages with Original HP high-yield ink cartridges. Reduce your impact: Conserve resources—without sacrificing performance—using a printer that’s ENERGY STAR certified. Reduce your environmental impact. Count on easy, free cartridge recycling through HP Planet Partners. 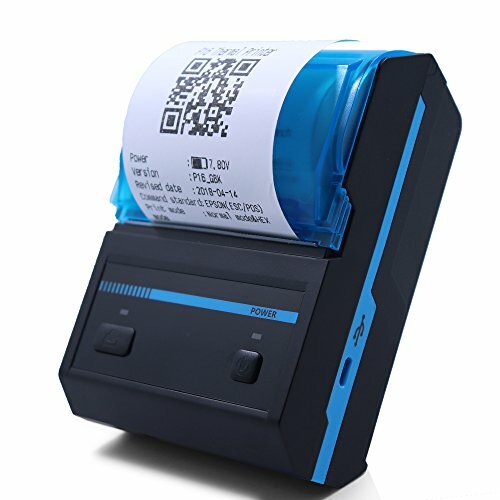 ZKTeco 58mm Thermal Bluetooth Receipt Printer Low operating costs (no ribbons, ink cartridges) Weight: about 400g (including accessories: lithium-ion batteries, cable, test paper) Size: 103.5*78*45.5mm Printing Method: Thermal line printing Print speed: 90mm/sec Reliability TPH Life: 100km Resolution: 203DPI (8dot/mm) Printing Width: 48mm (384dot) Paper Width: 58±01mm/2.28±0.3inch Roll Diameter: φ≤50mm Paper Type: Thermal Paper Power supply (optional): rechargeable lithium batteries Battery: Lithium: 7.4VDC/1500mA, Charging mode: DC 9V/1.5A Support the battery display function Print parameters: support to download the Logo trademark Emulation: ESC/POS/STAR command Interface: standard RS232/USB, Bluetooth 2.0/SPP agreement or infrared/IRCOMM agreement (optional). Working Temperature: -10～50℃ Humidity: 10～90%NOTE:iOS need to dowload the APP then it could connect the printer to print. 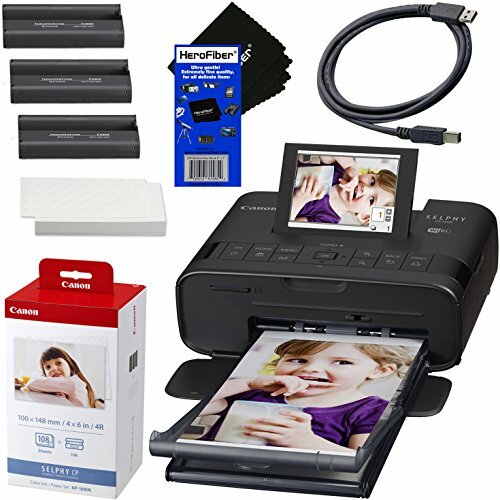 Deluxe Accessory Kit Includes Canon SELPHY CP1200 Wireless Compact Photo Printer Print colorful, accurate, and high quality photos with the Canon Selphy Cp1200 wireless compact photo printer. 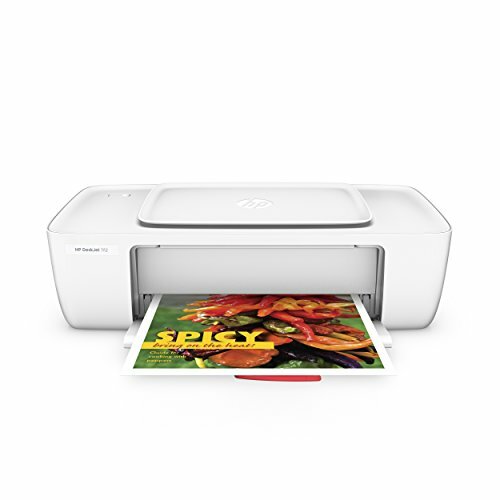 The printer creates high resolution pictures with 300x300 dpi, up to 4x6” in 47 seconds. With easy editing tools, such as portrait optimization, red eye correction, and the smooth skin feature enhancing and editing your photos is made simple and pleasurable. The Selphy CP1200 is portable enough to take with you wherever you go and features wireless connectivity to a mobile device or computer, plus direct printing with Apple’s AirPrint, PicBridge, Canon PRINT, and Canon’s Selphy app. Additionally, there is a built-in SD card slot and USB port for compatible SD cards and USB drives. 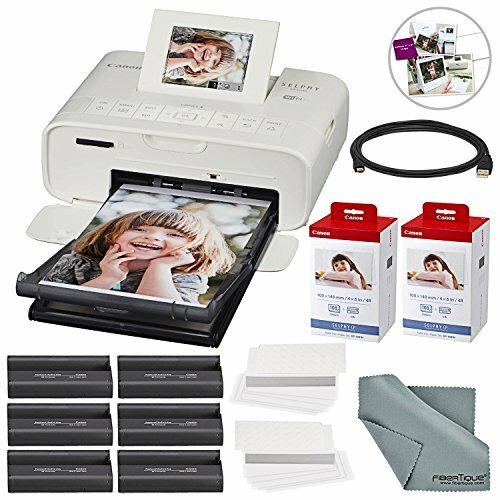 2 X Canon Color Ink and Paper Set This special kit is compatible with the CP1200 and prints up to 108x 4x6” color photos. Printing your photos is simple with the pre-cut paper stock. USB Printer Cable Connect the printer to your computer with this USB printer cable for error-free, high-performance transmissions. FiberTique Cleaning Cloth This cleaning cloth is designed with the Fibertique technology to clean all your electronic devices. Direct printing from Arc S using USB cable! Looking for more Portable Usb Printers similar ideas? Try to explore these searches: Paper Backdrops, Install Single Handle Faucet, and Phone Lamp. 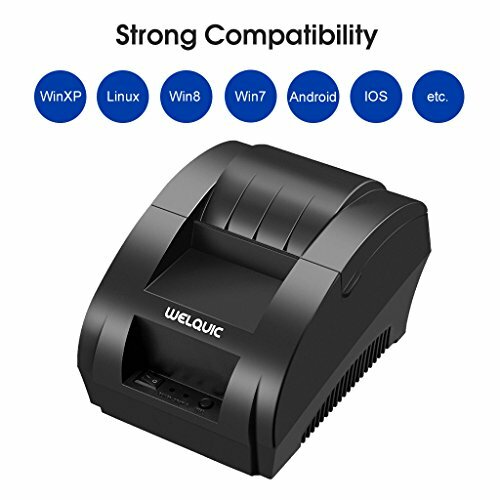 Shopwion.com is the smartest way for comparison shopping: compare prices from most trusted leading online stores for best Portable Usb Printers, Bluetooth Wireless Flash, Designer Wedding Band Ring, Printers Usb Portable . 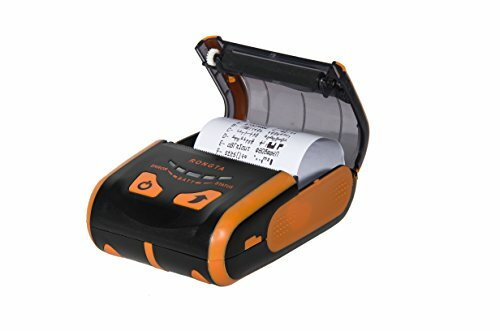 Don't miss this Portable Usb Printers today, April 20, 2019 deals, updated daily.